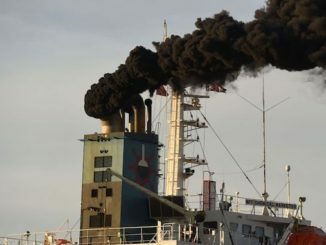 The world’s major shipping lanes are more frequently being disrupted my severe climate effects, said Jeremy Nixon, chief executive of Ocean Network Express, at the TOC Asia Container Supply Chain conference in Singapore. 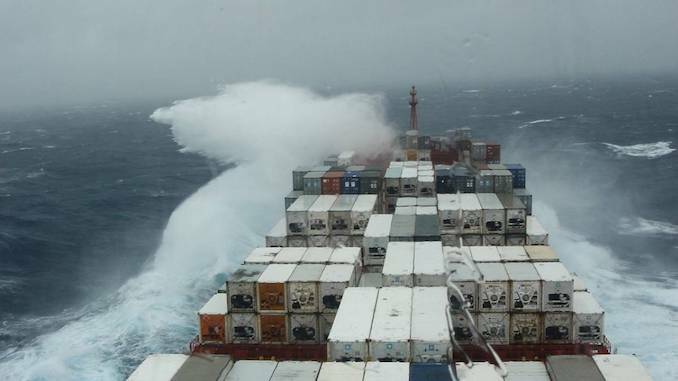 According to Mr Nixon global warming has triggered more adverse and variable weather across key shipping lanes, including a “remarkable increase” since 2016 when there were only 9 major typhoons in Asia, compared with 13 in 2017 and 17 last year. So much so, Mr Nixon noted, the port of Shanghai was closed for eight days in August last year, compared with just one during the same month in 2017. There were 28 days of terminal closures between April-August 2018, he added. Elsewhere, the recent heavy weather in North America had a big impact on rail operations, according to Mr Nixon, while Europe has suffered from flooding and strong weather systems in the Bay of Biscay and the transatlantic. “Service levels have been very bad, especially on the transpacific trade where two out of three vessels arriving are more than a day late,” Mr Murphy said.